It's been such a long week working with my shop to get everything all squared away. Since I've just opened up I'm learning the ends and outs of everything, and trying to do as much research as I can to make my business successful! On that note, I made my first three sales within the matter of a day, and now I'm preparing for shipment! It's exciting, like sending someone a gift! I'll be listing new items soon, but as for now, check out whats in stock! All this thrifting and business oriented thinking has me really inspired this week. I've been building up my own vintage collection for quite awhile now, and I'm just getting coo-coo over finding new pieces! Here are some of my favorite things to collect! 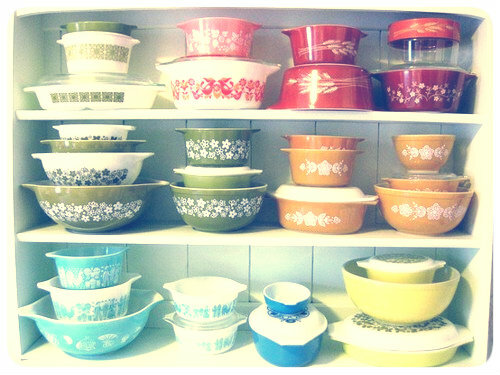 I am absolutely obsessed with vintage Pyrex, something about the colors and designs is so nostalgic and fun! 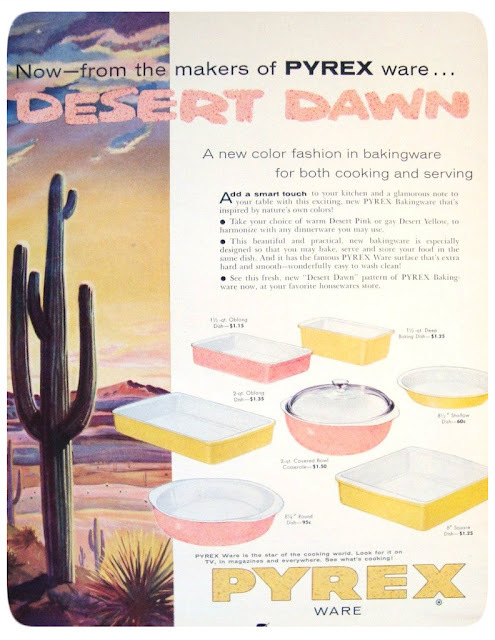 All the bright colors and designs are fun to display in any kitchen. I have a little collection myself of a few promotional pieces done in 1961, and I love them dearly. I'm always on the hunt for amazing pieces for cheap, since sometimes they run a little pricy. Go follow pyrexcollective for a bunch of amazing finds, tips,pricing and design information, and more! If you're looking to start your own collection, visit etsy to get started! 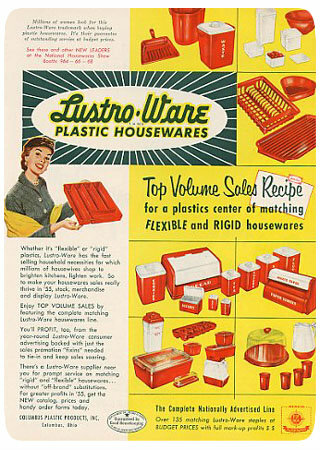 Lustro-ware is one of my favorite kitchen lines. 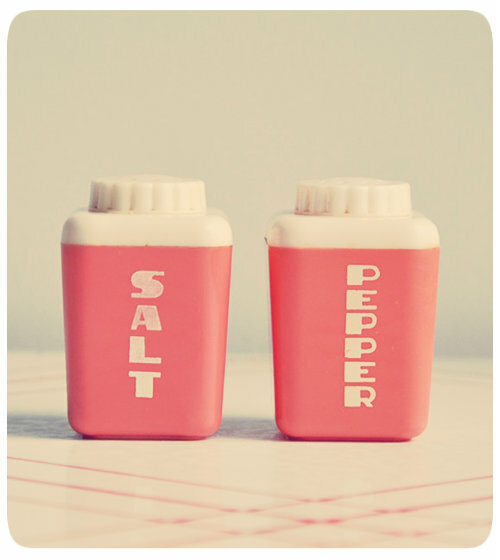 I love these fun plastic housewares products, and always keep an eye our for a good set of canisters or salt and pepper shakers while I'm out thrifting. 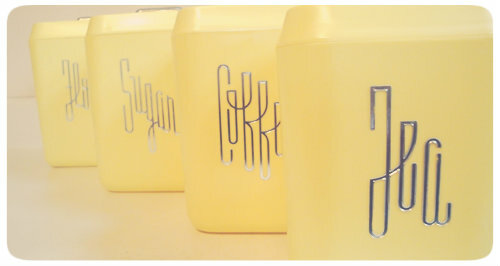 I recently scored a yellow bread box on eBay, as well as a set of white canisters, both have beautiful gold details. 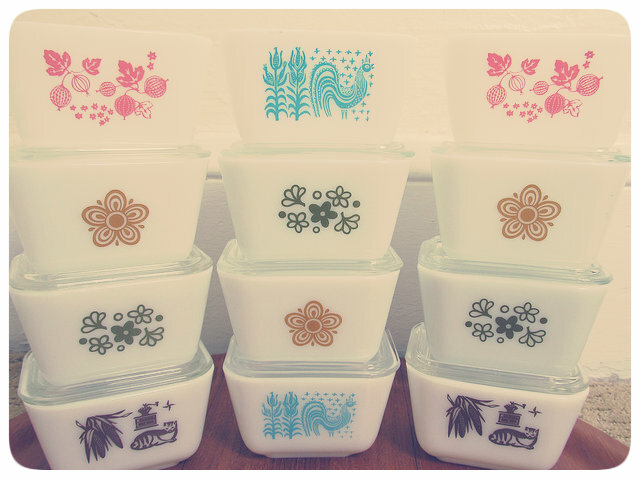 Recently I read this lovely post from oh so lovely vintage, on how to make your lustro-ware canisters good as new. Melmac has been an obsession of mine since I fell in love with vintage treasures years ago. 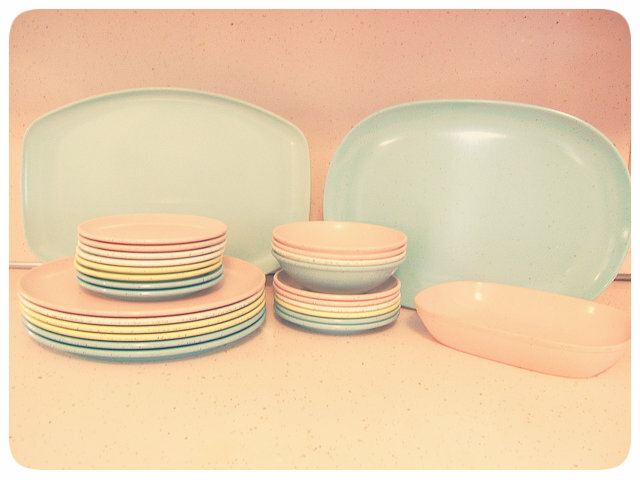 I've built up a cute little collection of pastel colors, and I adore them. 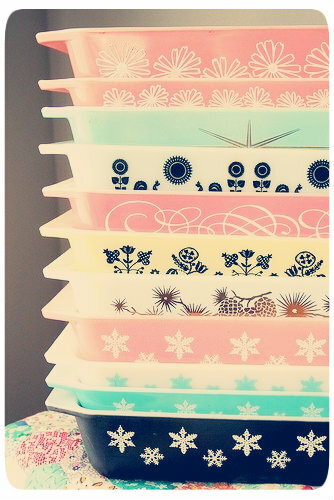 Fun patterns and beautiful colors make these dishes so charming. If you're looking for some look no more, visit here for an affordable variety. I have so many more vintage items that I just cannot live without, so I'm going to start a weekly post with some of my favorite vintage finds, and where you can find them yourself! Kitsch Krazy is coming soon! Well I hope you enjoy the rest of your tuesday, and hope you come back soon!